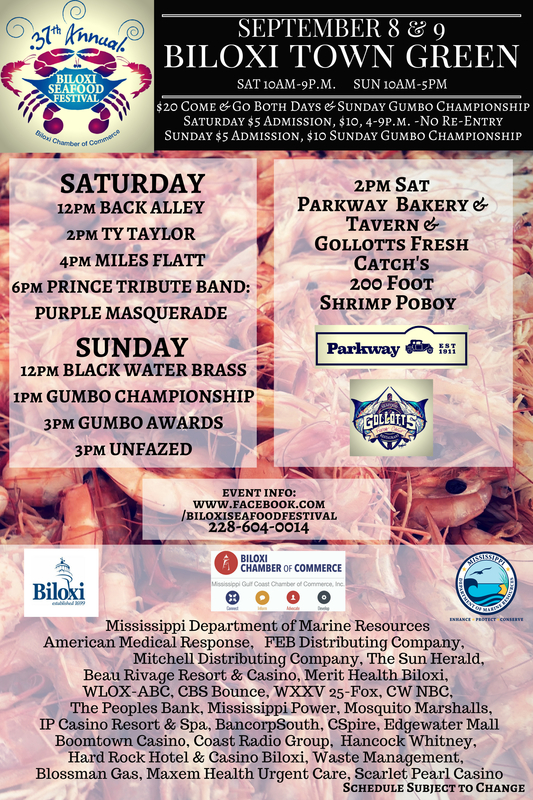 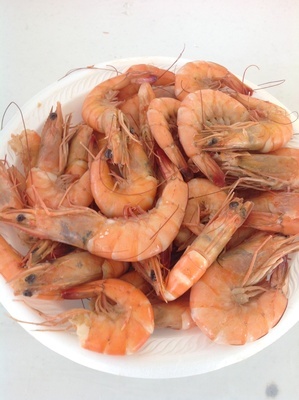 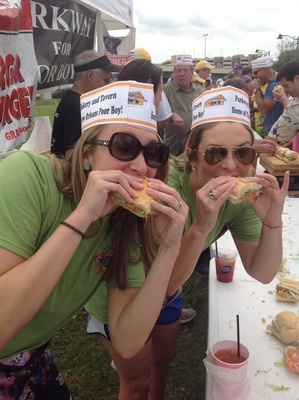 37th Annual Biloxi Seafood Festival, Biloxi Chamber of Commerce's biggest fundraiser, is a celebration of seafood heritage in the City of Biloxi. 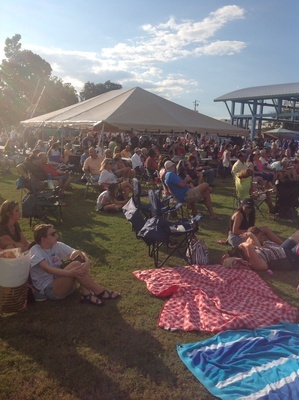 Attendees will enjoy live entertainment, arts and crafts, kids activities and the best seafood on the Mississippi Gulf Coast. 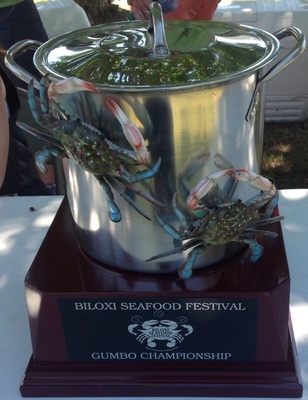 Sunday will feature the Sun Herald Gumbo Championship, where for a separate fee attendees can taste professional and amateur gumbo from teams competing for the Peoples' Choice and Best of Show Awards.